Pakistani-American entrepreneurs, advisers, mentors, venture capitalists, investment bankers, accountants and lawyers make up a growing ecosystem in Silicon Valley. Dozens of Pakistani-American founded start-ups have been funded by top venture capital firms. Many such companies have either been acquired in M&A deals or gone public by offering shares for sale at major stock exchanges. Organization of Pakistani Entrepreneurs (OPEN) has become a de facto platform for networking among Pakistani-American entrepreneurs in Silicon Valley. It holds an annual event called OPEN Forum which attracts over 500 attendees. OPEN Forum 2014 is scheduled for Saturday, May 10, 2014, at the Santa Calra Marriott. Pakistani Diaspora World's 7th LargestPutting it in context of the global Pakistani diaspora, there are 5 million to 6 million people of Pakistani descent living outside Pakistan, making up the world's 7th largest diaspora. 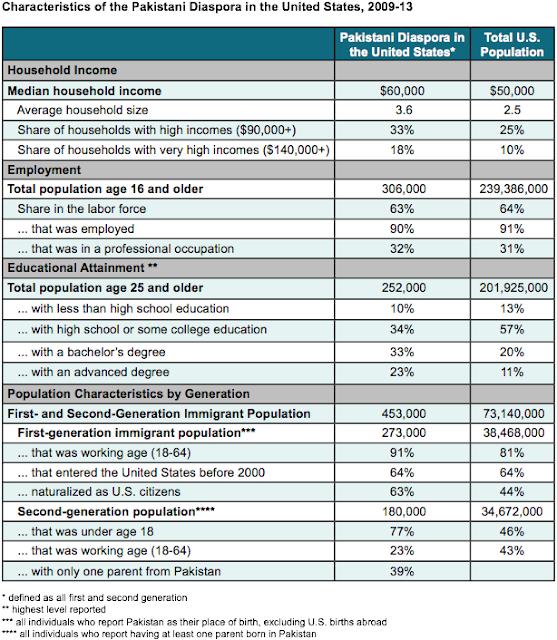 Of these, the US alone has 410,000 Pakistanis, according US Census 2010. 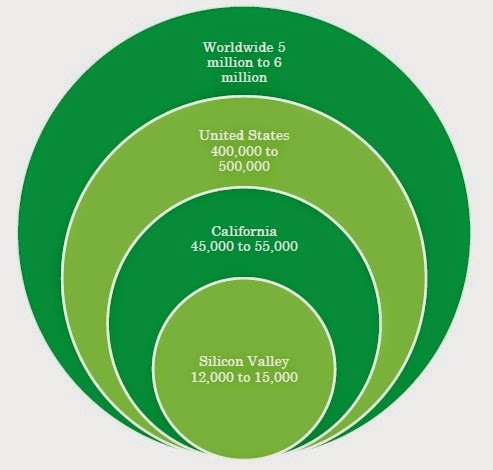 California state has 47,000 Pakistanis, about a quarter of them in Silicon Valley. Silicon Valley Pakistanis are enabling the 2nd Machine Revolution which is expected to be similar in scope and transformational impact as the First Machine Revolution, also known as the Industrial Revolution of 18th century. Silicon Valley is driving the second machine revolution which is similar in global scope and transformational impact as the First Machine Revolution, also known as the Industrial Revolution of 18th century. Much of Asia and Africa, including what constitutes Pakistan today, were left behind and colonized after the last industrial revolution that was driven by inventions like the steam engine and printing press. This time, however, Pakistanis are the forefront of the current machine revolution, contributing to the exponential growth in high-tech enabled by semiconductor technology as predicted by Moore's Law, named after Intel founder Gordon Moore. Rapid increase in chip densities has allowed building of more and more functions and progressively greater intelligence in small form factors. 1. Smartphones are now as powerful as huge mainframe computers of a decades ago. Pakistani-American chip technologists at Intel (Microprocessors) and other companies (SoC chips) have contributed to it. Intel (Riaz Haq), AMD and Raza Microelectronics (Atiq Raza), OpenSilicon (Naveed Sherwani), Muhammad Irfan (Whizz Systems). 3. 3D vision is enabling computer games (XBox Kinect) and self-driving cars. Pakistani-American Nazim Kareemi's Canesta's 3D chips have made these possible. 4. Cloud Computing is supplanting WinTel era PC computing, enabling much more mobile work using small portable devices like smartphones and tablets. Many Pakistani-Americans are making it happen. TV Entertainment HBO Comedy Silicon Valley (Kumail Nanjiani), Jadoo TV (Sajid Sohail), Triple-Oscar-Winning Computer-generated Imagery (CGI) for Hollywood hits Frozen, Life of Pi and The Golden Compass (Mir Zafar Ali). Venture Capital Sequoia Capita (Aaref Hilaly), CMEA Capital (Faysal Sohail, Saad Khan), Alloy Ventures (Ammar Hanafi), ePlanet Ventures (Asad Jamal). The mainstream media and the tech press have noticed the contribution of Pakistani-Americans in the Valley. I was recognized in 1980s by the PC magazine as a person of the year award given to the Intel 80386 microprocessor design team. More recently, there have been positive stories about Pakistani-American entrepreneurs in Forbes and other publications. A Forbes story recently acknowledged that Pakistan is among a dozen countries which are birthplaces of some of the most successful Silicon Valley companies funded by Sequoia Capital, a top venture capital firm credited with early investments in Cisco and Google. Another recent article called Silicon Valley Pakistanis a "model minority". Unfortunately, Pakistan has a serious branding problem in the world. Its name conjures up images of Osama Bin Laden and the Taliban terrorists. This problem has to be addressed by Pakistanis in Pakistan. The Pakistani diaspora, however, can try and balance the negative coverage by highlighting the good thigs happening in Pakistan. Stories such as a Karachi slum girl going to Harvard, a 12-year-old taking advanced MOOC courses in Lahore, the country's rising urban middle class, and Pakistani diaspora making important contributions in places like the Silicon Valley. I make an effort to do it through my blog Haq's Musings. I hope others will support this effort by sharing it with others. Monis: "some mentioned yet to hatch. :)"
Monis: "VC funding is not a metric of success, remember Webvan, Boo, Nexsi... long list. :)"
Agreed. But VCs have learned from the dot com bubble. Startups I mentioned are not the dot coms of yesterday. They have substance. Still only 10% succeed. Just want to draw a clear line between the heros and warriors in your list. Monis: " Still only 10% succeed. Just want to draw a clear line between the heros and warriors in your list." Isn't entrepreneurship all about risk for all participants? VCs don't fund all seekers blindly. Heroes emerge from risk-takers. Yes agreed, my comment was that some are yet to hatch while others have already delivered tangible value. Monis: "Yes agreed, my comment was that some are yet to hatch while others have already delivered tangible value." Something, i remember the PC magazine cover story, just as I remember Shafi Querashi ( AST ) cover in Forbes or PC , the early days you guys inspired a lot of the young ones that it could be done. Question: on politicians, media people and everyone else, you have very focused and probing critiques; but on this community, all I see is ra-ra cheerleading. No examination of the issues faced, even; never mind the imperfections and maybe weaknesses? Sabahat: "Question: on politicians, media people and everyone else, you have very focused and probing critiques; but on this community, all I see is ra-ra cheerleading. No examination of the issues faced, even; never mind the imperfections and maybe weaknesses?" There's no comparison here. I only wish more people, particularly leaders, in Pakistan were as well-educated and as accomplished as the Pakistani-Americans in Silicon Valley. Your blog is very interesting. Could you please add what contributions you and others made to Pakistan as your homeland? I assume that you studied in one of the colleges here to gain education and entered into greener pasture. Now did you return back anything to Pakistan? Sami:"Now did you return back anything to Pakistan?" To get your answer on how Pakistani diaspora is helping Pakistan, please go to the following link to read the pdf version of my presentation and view the video. For the first time, nine research papers by Pakistani students have been selected for presentation at the American Society of Microbiology (ASM) Conference. A total of 11 abstracts were submitted by M Phil students at Dow University of Health Sciences (DUHS) for the 114th international conference scheduled to be held in Boston later this month. The areas of research include diseases prevalent in Pakistan such as tuberculosis, HIV and Aids, Hepatitis B, C and D, and auto-immune diseases among other viral and bacterial infections. Khan’s team comprises Asif Iqbal, Noorulaine, Nazish Haider, Maria Zahid, Zeba Zehravi, Fatin Zehra, Sehrish Mohsin, Noorul Huda, Ayaz Ahmed and Kanwal Niazi. One of the students and presenting author for research paper ‘Genetic diversity and geographic linkages of HIV using bioinformatics tools’ Maria Zahid says she didn’t expect such a positive response to their submissions. “We had always planned to submit our (research) papers but was pleasantly surprised when almost all were accepted,” she told Dawn.com. Altia Systems, developer of the award-winning PanaCast system for video and web collaboration, today announced that it has raised $10.5 million in series B funding, with Intel Capital as the lead investor. Altia Systems' PanaCast Experience -- which consists of the PanaCast camera, cloud and apps -- is an award-winning, industry-first video and web collaboration service that lets users connect via immersive Panoramic-HD video and HD audio, anytime and anywhere, right from their smartphones, tablets and personal computers. Intuitive touch-enabled controls allow all the participants to see what they want within the whole visual field, in real-time and independently of each other. The PanaCast camera works with leading collaboration platforms like Microsoft Lync, Cisco WebEx, Citrix GoToMeeting and Google Hangouts with no change or upgrade required. "We are pleased that Intel Capital chose to lead this round," said Aurangzeb Khan, co-founder and CEO of Altia Systems. "Working with Intel Capital will help us further develop the PanaCast Experience and advance the underlying technology roadmap faster and more efficiently, particularly for enterprise customers." "The way businesses work today has evolved from local to globally-distributed organizations that need to collaborate in real time to win," said Ramamurthy Sivakumar, managing director at Intel Capital. "The PanaCast Experience enables pervasive collaboration and the PanaCast multi-imager technology, when combined with a highly scalable cloud and apps, has the potential to transform how people engage with each other to work, live, learn and play." When Ali Sajjad Taj won a seat on the Artesia city council last November, his friends threw him a party and invited more than 500 guests, including the Pakistani Consul General in Los Angeles, Tasawar Khan. The reason: Taj had become one of the few Pakistani-Americans elected to political office in California. Even a small victory, like winning a city council seat in a town of 16,000 people, was a big deal. “You don’t see Pakistani and other non-Indian South Asians active and involved in California politics the way you do in New York and at the national level,” explains Karthick Ramakrishnan, a political science professor at the University of California, Riverside, and director of the National Asian American Survey. In contrast, Indian-Americans have recently been called a rising force in California politics, with Republican Neel Kashkari’s campaign for governor hailed as the latest example of this trend. But that momentum has been slow to arrive in Los Angeles County, where Taj remains a rarity not only as a Pakistani American politician, but also as one of the few South Asians elected to serve office. Los Angeles County is home to 17 percent of the state’s South Asian population – defined as people from India, Pakistan, Bangladesh, Sri Lanka and Nepal – while the San Francisco Bay area represents 47 percent, primarily due to the significant number of Indian-Americans employed in Silicon Valley. When people talk about the growing presence of Indian-Americans in California politics, they are often referring to candidates in Northern California, like Democrat Ro Khanna and Republican Vanila Singh, who are both vying for Silicon Valley’s congressional seat. Not one of L.A. County’s congressional candidates, on the other hand, is South Asian. Los Angeles also doesn’t have a long tradition of electing Indian-American leaders – as is the case in the Central Valley, historically home to a large Sikh population. These factors, Ramakrishnan says, make it difficult for South Asian candidates in L.A. to attract volunteers and donors, key components of a successful campaign. That could well change in the next months, as Neel Kashkari’s campaign for governor gets underway. Since announcing his candidacy in Sacramento, the Laguna Beach resident has traveled to Downey, Riverside and Fresno to speak with small business owners about his plan to improve employment. In Artesia, a multiethnic community with a large number of Indian-American-owned businesses, “there is definitely excitement and support for his campaign,” says councilman Ali Sajjad Taj. Kashkari’s straightforward platform – jobs and education – is designed “to resonate with all voters, including within the South Asian community,” according to the campaign’s press secretary, Jessica Ng. “Previous studies have pointed to high long-term unemployment and poverty rates among Asians, meaning that the status quo is failing these communities, too,” Ng wrote in an email. Across ethnic groups, South Asians tend to vote Democrat. In exit polls conducted after the 2012 presidential election, 96 percent of Bangladeshi Americans said they voted for President Obama, followed by 91 percent of Pakistani and 84 percent of Indian-Americans. Instead of solely concentrating on chat, San Francisco-based Convo touts its threaded-conversation wall, akin to Facebook, as a better way to organize work-related conversations and document sharing rather than having a big group chat, explained Convo CEO and founder Faizan Buzdar. The roughly 40-person Convo team also decided to concentrate on mobile, and is working on making sure that images and documents load well on its mobile app, so that if a user tries to view a PDF or similar file, the image should look the same as it appears on a web browser. Companies that use work-collaboration tools also have to be aware that if they get sued, they “have an obligation to put a litigation hold on all the documents that have to do with that litigation,” said Meyer. In this case, all of these services allow for users to export their data from the cloud so as to retrieve the information, but Convo takes it a step further with its E-discovery feature, in which a customer can choose an employee to act as the legal stewart in Convo’s system that is in charge of keeping track of all sensitive information, said Buzdar. As a Pakistani-born doctor who grew up in England, studied nutrition and agriculture in the U.S. and consulted for the Mayo Clinic on diabetes and other diseases, Mehmood Khan's background gives him a broad perspective. His job gives him a daunting challenge. Khan, 53, is PepsiCo's chief scientist and CEO of its Chicago-based Global Nutrition Group. It's his group's task to more than double Pepsi's healthier food portfolio to $30 billion in revenue by 2020. Food companies are under pressure from government, consumers and special interest groups to address the epidemic of obesity, particularly in the United States. As more consumers seek out healthier snacks, drinks and meals, these products can be the fastest-growing piece of an otherwise mature portfolio. And some consumers are willing to pay more for them. But PepsiCo is still primarily in the business of sodas and chips (from its Frito-Lay stable of brands). In fact, Pepsi is also planning to increase its core business, including Pepsi, Mountain Dew, Doritos and Cheetos, to $70 billion by 2020, from $48 billion at the end of 2010. As chief scientist, Khan oversees efforts to reduce salt and introduce alternative sweeteners. And that puts the doctor in the unlikely position of selling what most people call junk food, but also helping to make it marginally healthier. Sitting in his downtown Chicago office, which is adorned with artwork and memorabilia depicting everything from his role at PepsiCo to the importance of looking at the big picture (a broken squash racket mounted on the wall is labeled "tough point"), Khan addressed what some might view as the contradiction inherent to his job. A healthy lifestyle, he maintains, is all about balance. That means there are no "bad" foods, he said. Some of them you just shouldn't eat all of the time. "There's no one prescription fits all," said Khan. "What is good and appropriate for my grandson is not appropriate for my 22-year-old college student son, which is not appropriate for me. … It's what is appropriate for you at the quantity and at the time in your life. If we can make it easier for people to make better choices, then we've done a lot of good." Khan also said that nutritional needs and taste preferences vary by region, and he noted the testing of a snack aimed at teenage girls in India. Iron deficiencies are very common in India, where vegetarianism is widespread, Khan said. Lehar Iron Chusti — tea cookies or savory snacks resembling tiny, spicy, cheeseless Cheetos that are fortified with iron and B vitamins including folate — is being sold for 5 rupees, or about 10 cents. "This to an Indian girl in Bangalore is very delightful," he said, passing a sample across the table. But for young girls in the U.S., he added, it probably wouldn't be. Khan is quick to acknowledge that the healthy-lifestyle battle is uphill. He points to a photo taken at a seminar for cardiac specialists. The snapshot looks down at a jammed escalator, with only two people climbing the adjoining stairs. One of them appears to be elderly. "This is literally the world's experts on cardiology and it tells you everything, doesn't it?" Khan said. "It reminds me that having the knowledge and knowing what to do doesn't change anything, no matter if you are the people who are writing the books on that knowledge." ‪#‎Pakistani‬-American neuroscientist Dr. Tipu Siddiqui from ‪#‎Karachi‬ discovers cause of ‪#‎ALS‬. Pakistani-American Iba Masood's Gradberry is launching today out of Y Combinator to connect US companies with vetted technical talent. Candidates quickly build a talent profile, connecting their GitHub, online portfolios and projects, and LinkedIn account. The talent profile is then vetted by the Gradberry team and approved candidates are passed along to specific employers. The Gradberry of today is a result of three years of work, across several continents, multiple product iterations, two failed applications to Y Combinator and one very passionate founding team. (Karachi-born) Iba Masood, co-founder and CEO says Gradberry works with graduates and employers. The site has jobs listings and courses, so students can take courses to fill in the gaps in order to land a position, or they can be hired and their employer will sponsor them to take a course to learn a required skill for the job. Masood says the majority of its revenue today comes from the latter. The way it works is that a company hires a recent graduate who looks promising, but lacks a requisite skill. For example, a marketing graduate could lack training in social media marketing. They take the online course, get a certificate and they should be better prepared for the job at hand. Masood says she and co-founder, CTO Syed Ahmed started the company in 2012. Their original idea was a LinkedIn for students where recent graduates could have a place to apply for jobs, but by earlier this year they realized providing job listings wasn’t enough and they had to address this skills gap, and shifted their focus. She reports they currently have approximately 38,000 registered users (representing 650+ universities globally), with 1,500 employers using the Beta. Among the first to sign on was IBM, which used the platform in developing economies in the Middle East and Asia. The company uses a freemium model for employer job ads offering the first three ads free, after which they start paying for ads and training for employees as needed. They have approximately 30 courses today ranging from languages like Arabic to social media marketing to learning HTML5 and they hope to crank that up to 120 courses by October. Masood says they began by producing the courses themselves, but they don’t want to be in the content creation business long-term. “What we’ve realized with content creation, it’s a capital-intensive, heavy model. It’s also intensive on the side of creation. To have high quality courses in terms of production value we would need a studio, the right lighting and video,” she explained. Moving forward they will oversee content creation, but won’t be creating it themselves. Instead they are working on partnerships with companies like Microsoft and Adobe to produce the content for them. The software companies gain access to a highly valuable 18-24 market who will be trained in their product sets and there is value in that for these companies, which Gradberry hopes to take advantage of. Gradberry has 6 employees and up until now they have been bootstrapped through revenue generated from the site and small prizes totaling $40,000 they have won in startup competitions. Currently they are part of MassChallenge, a Boston-based startup incubator, which Masood says has offered invaluable assistance in the development of her company. “MassChallenge has connected us to stellar mentors and innovators in the Boston community, who have helped us refine our operational strategy, to scale on both sides of the equation –that is, course content and career opportunities,” she said. She added that they also have great connections to multinational organizations, who will be partnering with them to provide employer-led courses and job opportunities for fresh talent. This summer, when the audiences see the The Hulk and the Hulkbuster going head-to-head in The Avengers: Age of Ultron, they would be well advised to remember that a Pakistani visual effects artist played an integral part in making that scene a reality. Originally from Lahore, Wajid Raza has now settled in the United States and is working at Industrial Light & Magic (ILM), a motion pictures visual effects company and a division of the Lucasfilm, something which would be a source of envy for countless fanboys. Speaking to The Express Tribune, Raza shared the humbling experience of contributing to films like The Avengers, Rango, Star Trek Into Darkness and Teenage Mutant Ninja Turtles in multiple capacities. From then onwards Raza has gone onto lending his skillset to even greater franchises like the Avengers and Star Trek as lighting technical director and pipeline technical director respectively. Despite holding a Master of Fine Arts from the Savannah College of Art and Design (SCAD), digital arts and visual effect was not something straightforward for Raza. The ‘sub-continental culture’ of choosing between engineering and medicine did come into play and he acquired a degree in computer sciences from the Government college of Lahore. “After I finished my bachelors program, my parents supported me to pursue my passion of studying computer graphics. And one thing led to another, and I was able to land a job at ILM,” recalls Raza. “It seemed like the perfect meeting point of my two interests. So I waited two years to finish my undergrad, got accepted for an MFA program at SCAD and used it as a stepping-stone for my career,” told the young VFX artist. Despite making it to the big leagues in the visual effects industry it has not always been smooth sailing for Raza as he recounted how initially working at ILM with no prior experience was ‘an overwhelming experience’ for him. Raza’s career seems to be coinciding with the revival of the Pakistani film industry but he believes that the industry is still in its infancy from a VFX standpoint. Abid Gilani, a senior vice president at Wells Fargo in New York, belonged to a large, close-knit Pakistani-American family, with relatives in Canada, where he grew up, and in Virginia, where he and his relatives gathered for the funeral of his uncle this week. On Tuesday night, he was on the Northeast Regional train, headed back to work in New York. It was where he spent most weekdays, commuting to Rockville, Md., to be with his wife on the weekends, said one of his cousins, Fahad Hoda. Empty-nesters with two grown children, Mr. Gilani and his wife had plans to go to Spain on a bicycling trip, Mr. Hoda said, indulging one of their passions. Mr. Gilani worked for Scotiabank for nearly 20 years before joining Marriott International as a financial executive. He had lived in Walnut Creek, Calif., for several years before moving back to the East Coast. He had been with Wells Fargo since early last year. Nanophase already produces nanoengineered products for use in a variety of markets like personal care, including sunscreens, medical diagnostics and coatings, like paints or varnishes. According to (Pakistani-American) Irfan Ahmad, the executive director of the Center for Nanoscale Science and Technology at the University of Illinois, the nanotechnology field is a relatively new one – and an important one. Developed in the late 1980s, nanotechnology, in its most simple definition, is manipulating a substance with at least one dimension sized from 1 to 100 nanometers. A nanometer is one-billionth of a meter. “There are about 1,000 or so products out there that have some nanotechnology component to them, either in their development, or in their manufacturing or are themselves at the nano-scale and they continue to increase,” said Ahmad. These small particles are found in everyday products like microchips in computers, paint and plastics. One of the most common uses of nanoparticles is in sunscreen, because the sheer number of them increase the total surface area, which in turn increases transparency, allowing for a greater amount of coverage without reducing the ultraviolet protection. “Particles that are nano-size can penetrate the first layer of skin and become embedded, so to speak, so that lotion is retained over a longer period of time,” said Ahmad. Many consumers consider sheer sunscreen more appealing. Enterprise security vendorBlue Coat Systems acquiredElastica on Monday for $280 million, allowing the company to offer a more nuanced portfolio to its global customers. With Elastica’s Cloud Access Security Broker (CASB) and cloud application security solutions integrated into its feature set, Blue Coat said it can create the industry’s first “global security platform” to protect users no matter where their data resides, whether on-premise, in the cloud or as a hybrid solution. By expanding its portfolio to include more cloud-centric security solutions, Blue Coat said it can also help customers navigate the increasingly complex IT landscape, especially for born-in-the-cloud companies. Blue Coat’s purchase of Elastica is the company’s second major purchase this year as the security vendor looks to establish dominance in the CASB market. In August, Blue Coat purchased Perspecys, a California-based enterprise cloud data protection solution provider under the auspices of bolstering its security and hybrid cloud portfolio. The company also unveiled the Alliance Ecosystem of Endpoint Detection and Responseto create a network for sharing security threat information. Immigrants from Pakistan, Iraq, and Bangladesh received the most green cards from the United States in the past five years when compared to other Muslim-majority nations. The U.S. granted 83,000 green cards to migrants from Pakistan and another 83,000 to migrants from Iraq between fiscal years 2009 and 2013, according to a chart produced by the Senate Subcommittee on Immigration and the National Interest using Department of Homeland Security data. Migrants from Bangladesh received 75,000 green cards, those from Iran received 73,000, and those from Egypt received 45,000 to round out the top five. In sum, the U.S. granted 680,000 green cards to immigrants from Muslim-majority nations between 2009 and 2013. Thousands of green cards went to immigrants from more than three dozen Muslim countries, including: Somalia (31,000), Uzbekistan (24,000), Turkey (22,000), Morocco (22,000), Jordan (20,000), Albania (20,000), Lebanon (16,000), Yemen (16,000), Indonesia (15,000), Syria (14,000), Sudan (13,000), Afghanistan (11,000), Sierra Leone (10,000), Guinea (8,000), Senegal (7,000), Saudi Arabia (7,000), Algeria (7,000), Kazakhstan (7,000), Kuwait (5,000), Gambia (5,000), United Arab Emirates (4,000), Azerbaijan (4,000), Mali (3,000), Burkina Faso (3,000), Kyrgyzstan (3,000), Kosovo (3,000), Mauritania (2,000), Tunisia (2,000), Tajikistan (2,000), Libya (2,000), Turkmenistan (1,000), Qatar (1,000), and Chad (1,000). The U.S. is expected to issue another 660,000 green cards over the next five years to immigrants from Muslim-majority nations. A new exchange program designed to link Austin technology entrepreneurs with their counterparts in Pakistan will be launched in April. The program, which is called ATX+PAK, plans to place about 24 entrepreneurs from the Pakistan-based Information Technology University’s business incubator in Austin-based incubators and accelerators for three weeks. Organizers expect the placements to provide the entrepreneurs with advanced training, mentorship and networking opportunities, according to an announcement from the city of Austin’s economic development department. The two-year program is being funded by a $500,000 grant from the U.S. Embassy in Islamabad, Pakistan. The first of four groups of participants is scheduled to visit Austin in April. Organizers are also planning a tour of Pakistan’s growing tech and innovation hubs for Central Texas investors in the fall and a Creative Collaboration Summit in Austin in 2017. The Pakistani program comes on the heels of similar exchange programs involving local tech entrepreneurs set up in 2015. In mid-2015, the Tech Ranch business incubator teamed with the Japan-based Science, Art and Research for Reconstruction as one of 12 initiatives focused on the development of Japanese startups and global expansions. The New Energy and Industrial Technology Development of Japan, or NEDO, allocated $50 million of matching funds for companies funded by approved programs. In March of that year, another local incubator, the Capital Factory, disclosed plans to work with Dublin, Ireland-based Gravity to provide reciprocal services to members of the Austin incubator and co-working space in an effort to promote startups and mid-sized businesses. Federal Minister for Science and Technology Rana Tanveer Hussain said the Pak-China Science, Technology, Commerce and Logistic Park would be established in Islamabad at the cost of $1.5 billion. Hussain, addressing a press conference, said it would be set up as part of the China-Pakistan Economic Corridor and serve as a platform for technological and commercial linkages between the two countries besides promoting investment and financing, e-commerce and research and development. The Minister said Pakistan would provide 500 hectares of land for the establishment of the Park and all other investment would be made by China. He said three sites had been tentatively identified and a delegation of Xinjiang Production and Construction Corporation would be arriving this month to finalise the site. He said that the foundation stone of the project is expected to be laid in March next year and it would be completed in ten years in three phases. The minister said that this project would create job opportunities for 1,500 Pakistanis. The minister stressed the need to move towards latest technology from obsolete one in order to compete with the rest of the world. In this regard, the government would allocate bigger share of the budget next year for the promotion of science and technology, he added. The minister said that COMSATS Institute of Information Technology (CIIT), under the administrative control of Ministry of Science &Technology, had been holding Pak China Business Forums since 2012. In the forum, COMSAT invited Tech companies from China to participate with the main objectives of attracting Chinese investment in joint ventures in Pakistan. Chinese companies have been showing increasing interest for the forum. From the 57 companies that visited in 2012, the number has risen to 125 in the 4th forum in 2015. Federal Minister for National Health Services Regulation and Coordination Saira Afzal Tarar pledged to patronise stem cell technology in Pakistan to offer cost-effective medical treatment for diseases varying from arthritis to cancer. Speaking at first international seminar on stem cell technology, she said that the government would encourage private players to promote the new technology in Pakistan. The seminar was organised by the Al-Sayed Hospital in which leading experts in stem cell technology, lawmakers, and senior officials of health departments also participated. The federal minister stated that providing affordable healthcare services was one of the top priorities of the government. She agreed with expert Dr Salman Gilani that lack of modern techniques was forcing the patients get treatment from abroad. Unsal Gundogan, Prof Murat Erturk and neurosurgeon Prof Haluk Deda came all the way from Turkey to attend the seminar. Atigen-Cell Technology, a leading stem cell facility in Asia, has been facilitating patients in Pakistan on cheapest rates. Dr Gilani informed the participants that the stem cells were specialised cells in human body that were activated once there is any injury or disease and try to restore the normal function of the body. “As physicians, we collect stem cells from the body and deliver them where they are required to bring that tissue or organ back to normal,” he said. He said that the stem cell transplant was the latest and most cutting edge technique for the treatment with various illnesses and was becoming a popular option worldwide for the treatment of those diseases that did not have any adequate management available. He also said that the stem cell transplant has provided hope for the treatment of many diseases that were thought to be untreatable in the past. There are almost 100 individual diseases that can be treated through stem cell transplant today and more and more treatments are being added frequently. Several patients, treated at the Al-Sayed Hospital, narrated their speedy recovery from the diseases they were suffering for years. Heart and kidney transplant surgeon Dr Tauseef expressed the hope that the stem cell technology would help patients avoid expensive and complicated treatments like surgery etc. MNA Dr Ramesh Kumar, MNA Maiza Hameed, MNA Abdul Qahar Khan and Col (r) Mukhtar also spoke at the occasion. The field of game theory in which they work – fair allocation – has potential to develop computerised conflict-resolution algorithms, the researchers claim. Haris Azizand Simon Mackenzie published their paper on the Cornell University Library archive site, arXiv.org in April. Their solution has been described as a "major breakthrough" by Professor Steven Brams at New York University, who has worked on such problems for more than 20 years. And it all comes down to cake. Imagine a rowdy kid's birthday party and a cake to cut. Simple right? Nine children, cut nine equal slices. "My piece didn't get any chocolate curls!" wails some over-entitled brat. It's not just size but the value you place on a slice that counts. Cake is a metaphor for any kind of divisible good, be it time, property settlement, or computing resources. And "envy-free"? By this, mathematicians mean no one prefers another person's share ahead of their own. Solving this problem for two people is simple and is at least as old as the Bible, where Lot and Abraham divided the lands of Canaan (Genesis 13). One person cuts the cake into what they perceive as two equal slices. The other person chooses their preferred piece and the cutter takes the other. Simple. But add more people and it gets much trickier. In the 1960s, John Selfridge and John Conway independently developed a solution for envy-free cake cutting for three people. By this Selfridge-Conway protocol, if the envy-free allocation is not solved by an initial three-way division, then it takes just three more cuts to solve the problem. You can read about it here. And there it sat for years. However, in 2015 Dr Aziz and Mr Mackenzie at CSIRO's Data61 and UNSW published a solution for envy-free allocation among four agents. That can take between three and 203 cuts of the cake. Not to rest on their laurels, Dr Aziz and PhD student Mr Mackenzie have published an algorithm for any number of agents. The paper is yet to be peer reviewed, however, Professor Brams told the Herald the "results look solid". In an associated field Professor Brams has developed an "adjusted winner" system of division that he has applied to problems as diverse as Donald Trump's divorce to his former wife Ivana and the Camp David Accords between Israel and Egypt. "There could even be applications in your part of the world," the NYU professor said. "It could be applied to the Spratlys Island dispute in the South China Sea." Professor Brams said that while the Aziz-Mackenzie protocol is too complex for practical application, it is an important theoretical step forward. Another researcher in this field is Ariel Procaccia at Carnegie Mellon University in Pittsburgh. He told the Herald: "I was convinced that a bounded, envy-free cake-cutting algorithm [did] not exist. So the breakthrough result of Aziz and Mackenzie is nothing short of amazing. It is a beautiful piece of mathematics." Professor Procaccia hopes the research will inspire new solutions to solving fair-division problems in the real world. Dr Aziz said: "We hope that our new algorithm opens the door for simpler and faster methods of allocation. One day, problems such as allocating access to a telescope among astronomers or the fair distribution of scarce water resources could be made very easy." According to the US law, diversity laws are only allowed to counties that have low rates of immigrants, said US consulate in Karachi’s spokesperson Brian Asmus, during a media tour of the Karachi consulate’s visa section on Friday. Pakistan had 104,000 immigrants in the 10 years between 2005 and 2014, he said, explaining why Pakistanis are no longer eligible. The state department has only stopped diversity visas and there are a lot of other options, such as petitions, student, visit and exchange programme visas, which come under the non-immigrant category. “One can always apply for immigrant visa if they have immediate family in the US,” explained US consulate’s Non-Immigrant Visa chief Mary Pellegrini. She also explained that it takes around one year for spouse and children, two years for parents and, for siblings, the time can vary up to a decade. Nevertheless, the Pakistanis who have managed to immigrate are doing pretty well. 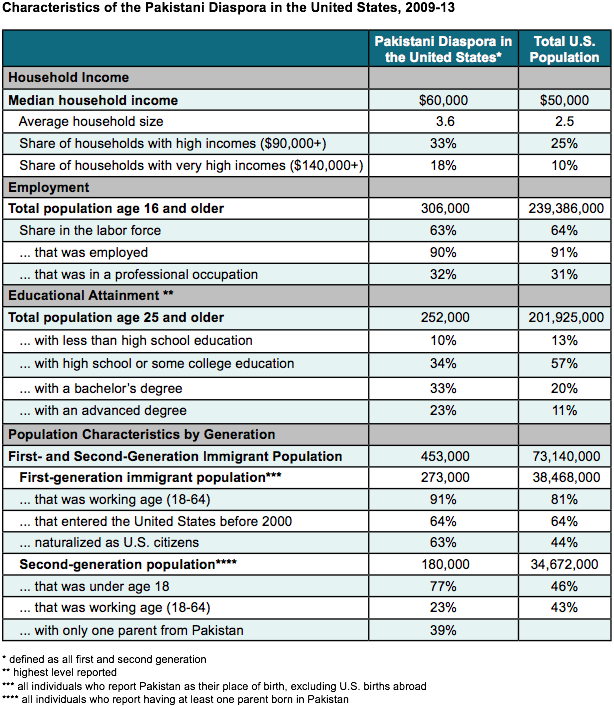 According to a recent survey, an average Pakistani in the US earns $63,000 every year while an average US citizen earns only $51,000 a year, said Asmus. Asmus dismissed the misconception that fewer Pakistanis are able to get visa for the US. The percentage of applications is increasing every year and the number of Pakistani citizens getting visas has also increased by 20% between 2014 and 2015, and another 20% between 2015 and 2016, he said. The US Consulate in Karachi only deals in non-immigrant visas while immigrants visas are dealt at the embassy in Islamabad. Last year, the consulate issued a total of 72,000 visas across the country. So far in 2016, the US consulate in Karachi has issued a total of 14,400 visas.